MSc Building Technology | Technoledge structural design. Using glass as a structural material is relatively unexplored in architecture. Hence one of the courses of the track BT at TU Delft is all about it. Glass, in relation to more familiar structural materials as steel, concrete or timber, behaves in a crucially different way. Glass does not yield. It is a brittle material. Fractures and failure are difficult to predict. 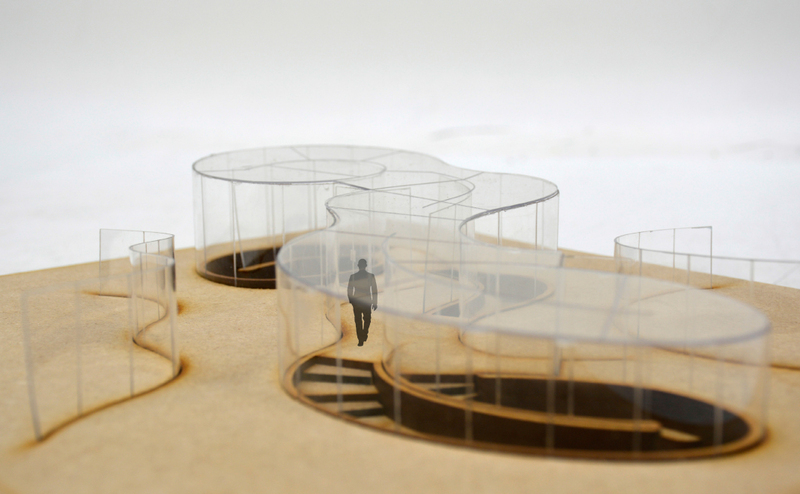 As an exercise, a hypothetical all-glass-aurora-pavilion is designed. Steel substructures are to be avoided. The shape of this pavilion was directly derived from the auroras appearance. 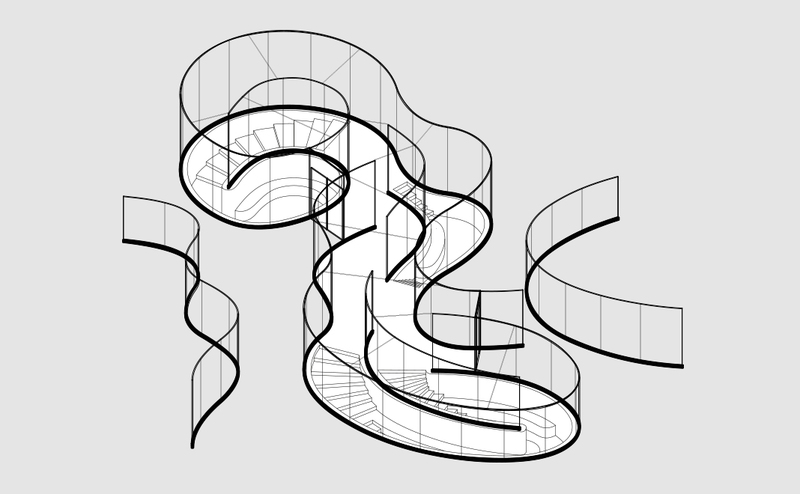 The curved lines are even structurally efficient, since it adds up to the stability of the pavilion. 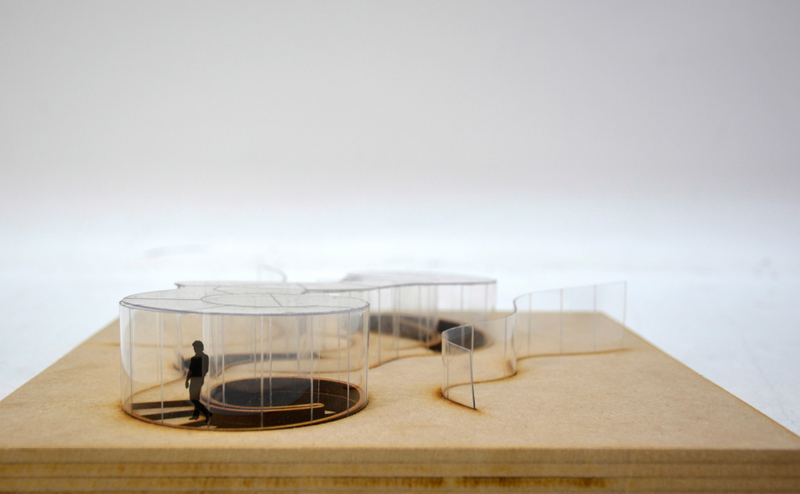 Due to the production process of glass, the elements of the pavilion should be standardized. By using three different radii for the curvature of the panels, the initial desired shape is still realizable. Calculations are made with Diana, to verify the structural feasibility. For the complete process, read this report.